Family can often be both a blessing and a curse. They fight, bicker, and squabble over everything and anything, even if no sides are taken. On the flip side, they also tend to stick together, no matter what. Now, throw in special abilities, time travel, and an egomaniac of an adoptive father, and you have yourself a recipe for dramatic disaster. 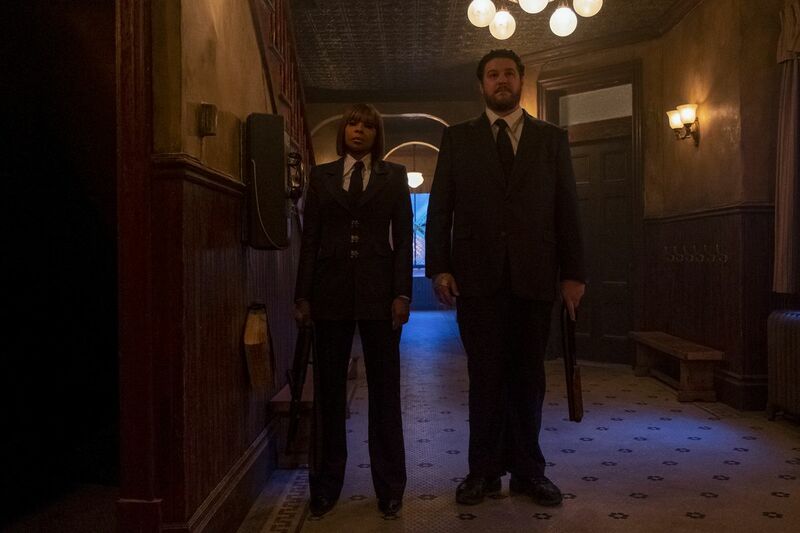 Netflix’s The Umbrella Academy, an adaptation of a comic book series of the same name is the latest comic-book-turned-TV series and it takes all of the above, and moxies it up to great effect. The Eisner Award-winning comic series, written by singer-songwriter and lead vocalist of the popular emo band My Chemical Romance, Gerard Way and illustrated by Gabriel Bá, is snappy, punchy, gritty yet darkly hilarious at times, and doesn’t hold back on its drama when need be. 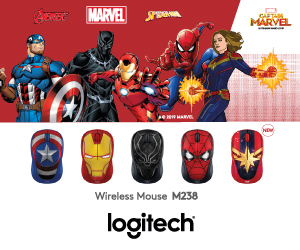 It’s X-Men meets Watchmen in tone, style, and characterisation. Despite having an ensemble cast of characters, the show somehow manages to juggle the screentime among each of them quite well and weaves the overall plot in a generally digestible fashion. The story follows a troupe of six adoptive siblings, all born on the same day via a mysterious phenomenon that caused over forty women across Earth to become impregnated. Immaculate, you say? Six of these kids, born with special abilities, were adopted by Mr Reginald Hargreaves, then one of the richest men in the world, and were trained to hone their special abilities for the purposes of fighting crime and expunging the weird as a group – dubbed the Umbrella Academy. 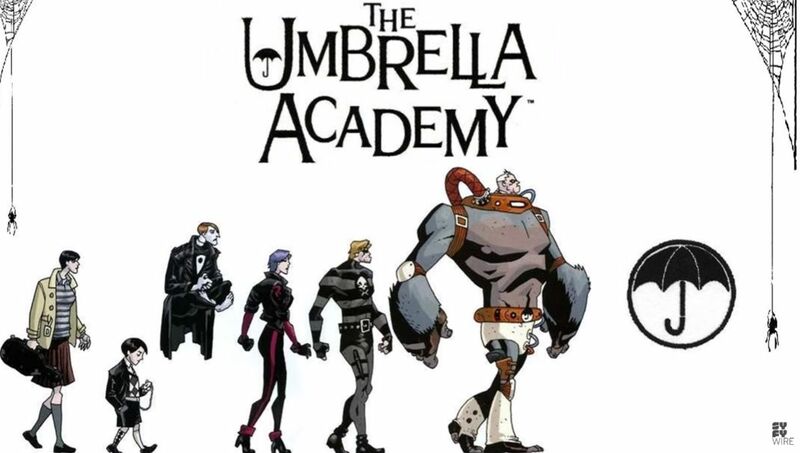 The Umbrella Academy before the split. However, that was all in their adolescence, as the story itself focuses on the group, who are currently in their early thirties, all having been estranged for the last seventeen years after leaving the Academy in hopes of escaping Mr Hargreaves’ tyrannical treatment of them during their time there. They reunite for the best reason possible though – Mr Hargreaves’ mysterious death, and must now deal with two alarming matters; who killed Mr Hargreaves, and why is their long-lost step-sibling, Number Five, back but still looking like a thirteen-year-old after disappearing for nearly two decades? The character dynamics are rich with years of pent-up resentment among the step-siblings being flung at each other verbally (and sometimes physically) over various matters – from who contributed more in missions, to who was Mr Hargreaves’ prized child, and so on. Amidst all that, however, there were occasional heartfelt moments of missing one another’s company. In spite of the unique quirks each Academy member possesses, it is their family dysfunction that makes them relatable to audiences. From left: Five (Aidan Gallagher), Vanya/White Violin (Ellen Page), Allison/The Rumour (Emmy Raver-Lampman), Klaus/The Seance (Robert Sheehan), Luther/Spaceboy (Tom Hopper), Diego/The Kraken (David Casteñada). 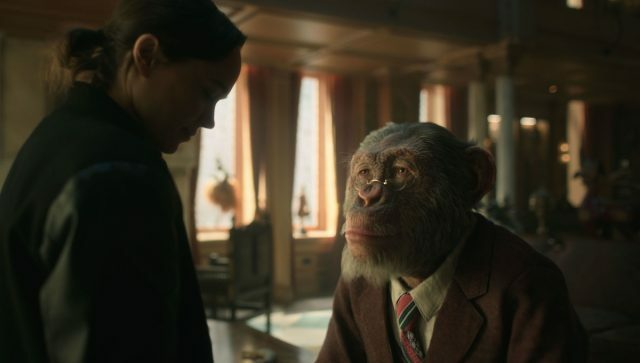 Of course, these relatable performances would not have been possible without the talents of the actors portraying the characters to varying degrees of nuance. 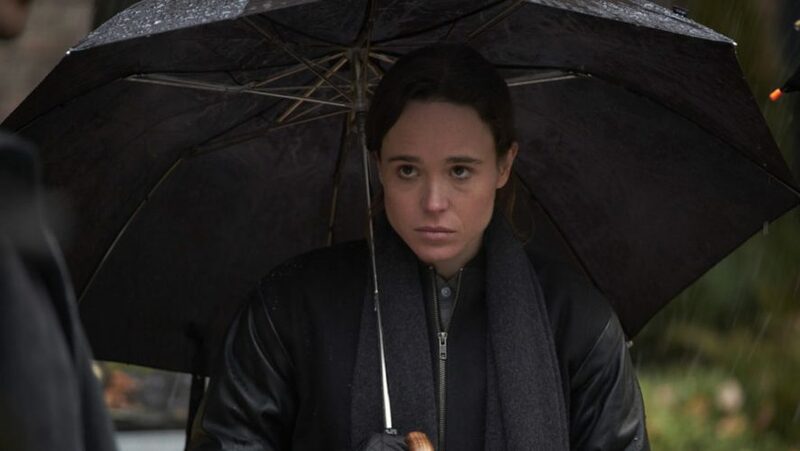 First, we have the soft-spoken Vanya/White Violin, played by the always amazing Ellen Page (X-Men, Juno, Inception), a talented violinist who struggles with expressing herself after years of being suppressed by her stepfather. Luther/Spaceboy, portrayed by Tom Hopper (Game of Thrones, Black Sails) is the physically-imposing, stoic, self-proclaimed leader of the Umbrella Academy who spent four years on the moon in isolation. Allison/The Rumour, played by Emmy Raver-Lampman (A Million Little Things), is a divorced mother who has to deal with the guilt of using her reality-bending powers on her young daughter, while Diego/The Kraken, played by David Casteñada (Blindspot, Jane the Virgin), is the cutthroat (literally), pinpoint knife-throwing (coughGambitcough) vigilante (also literally) of the group who constantly picks fights with Luther, Five, and the law. Klaus/The Seance, played by Robert Sheehan (Mortal Engines, Love/Hate, Misfits), is the oddball of the family, who has taken to drugs to suppress his ability to speak to the dead; and let’s not forget the arrogant Five, played by teenager Aidan Gallagher (Nicky, Ricky, Dicky & Dawn, Modern Family) in a breakout performance – as a 58-year-old trapped in his adolescent body as a result of messing with time-travel. 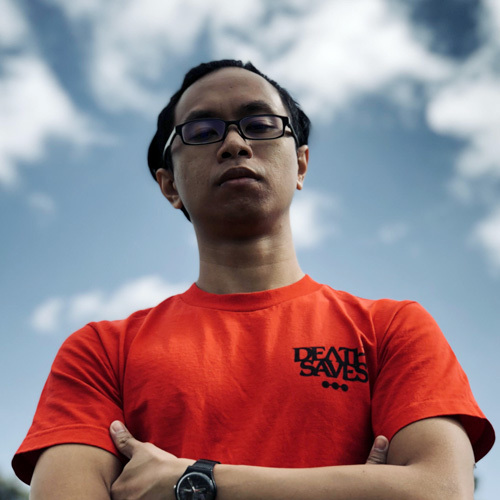 He also came back to warn his siblings about the apocalypse that will happen just a few days after the events of the first episode. There’s a good mix of experience and youth in the team, bouncing off one another with great chemistry, although the sheer number of them will obviously mean not a lot of screen time for everybody, leaving you wanting more. From Luther’s and Diego’s rivalry over who’s top dog, Allison’s and Vanya’s rekindling sisterhood, to Klaus’ and Five’s hilarious drunken banter, the show just demands for a second season. 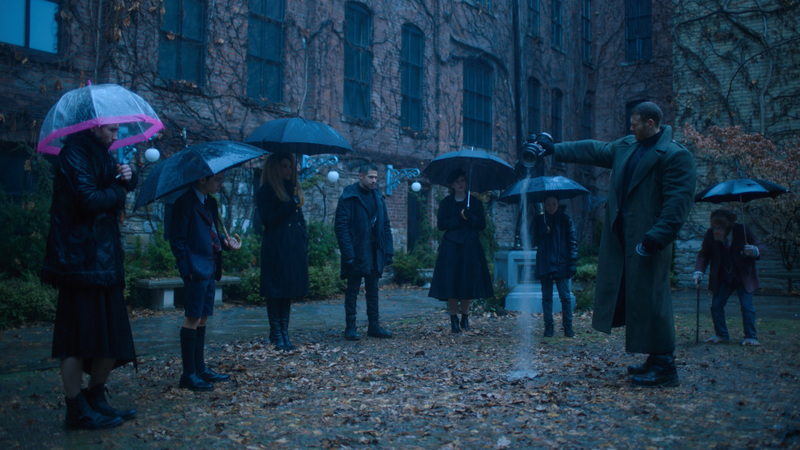 At times, however, the show can feel like “Five and the Umbrella Academy”, because a lion’s share of the story focuses on Five, who is hell-bent on stopping the apocalypse from happening in the first place. Because of his inability to rely on his step-siblings, he often is out and about doing his own sleuthing but there’s a reason it’s called an academy, not a school of one. Front, left: Colm Feore as Reginald Hargreaves. 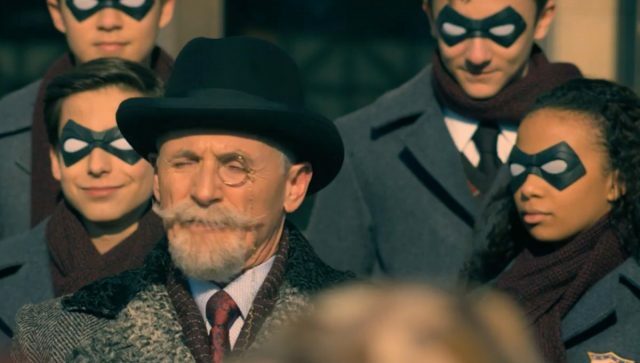 Thankfully, that responsibility is lifted ever so slightly with the supporting cast of Umbrella Academy, with experienced stars such Adam Godley (Breaking Bad, Suits) putting on a great advisory role as the sentient monkey Pogo; Colm Feore (The Chronicles of Riddick, Gotham) as the quirky and uptight Mr Reginald Hargreaves; and Mary J. Blige (Mudbound, Rock of Ages) and Cameron Britton (Mindhunter, Stitchers) as the suit-and-mask-wearing dynamic duo of Cha-Cha and Hazel, mysterious professional hitmen on the hunt for the time-traveling Number Five who also break out into their own petty squabbles. From left: Cha-Cha (Mary J. Blige) and Hazel (Cameron Britton). 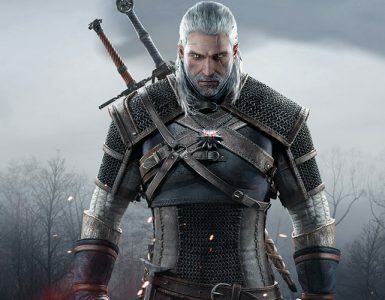 These characters, in their own subtle ways, add a lot more depth and complexity to the existing relationships between the main characters, and the world as a whole. You’ll be wondering why an articulate simian is playing caretaker to the Academy members, or why Hazel and Cha-Cha seem to be always wearing suits, and so on. Right: Adam Godley as Pogo. The pacing of the story plot starts off well, with character introductions showing more than telling – which is a great sign, considering the amount of effort put into costume and production design in this show. The ushering of new elements such as the death of Mr Hargreaves and the return of Five as the inciting incident are also presented quite well, although the latter comes in a little later in the first episode. After that, more bits of the plot are leaked through the IV drip of flashbacks, behind-closed-door scenes, and last-second plot twists, all used sparingly and in rotation so that you’re always on your toes by the end of each episode. Besides the aforementioned majority of the screentime going to Five, there is another glaring issue of a lack of a proper major villain until the middle part of the season. Hazel and Cha-Cha are rather formidable antagonists as a team, but their statuses as mere goons mean they don’t quite make the cut of being bona fide villains. Their helmets are trippy as hell, though. 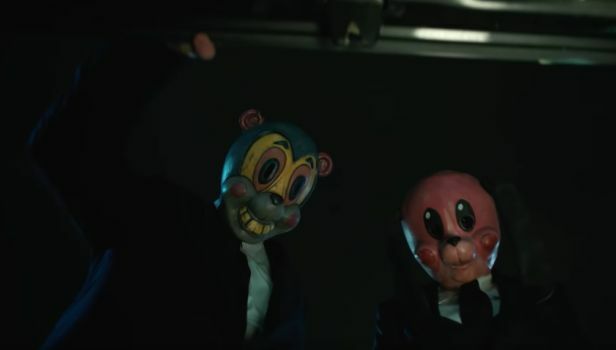 Gerard Way’s stamp is all over the writing and the dialogue, which works in The Umbrella Academy’s favour. Heck, he’s even an executive producer for the show. 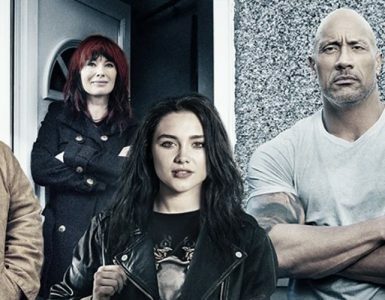 Yes, the Academy members are powered beings, but the focus here is on picking up the pieces of an estranged family separated by years of resentment. If you’re looking for a balls-to-the-walls Avengers or X-Men style of story, then you’ll be thoroughly disappointed. 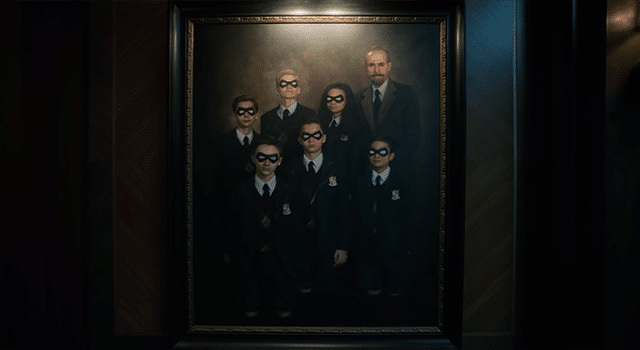 The family – including all its numerous glaring dysfunctions – is the strength of Umbrella Academy, and it shows. 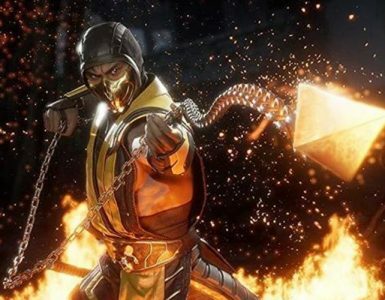 There are several differences to the comic, but those won’t matter the second the opening scene rolls. The Netflix original takes Way’s story and owns it well. 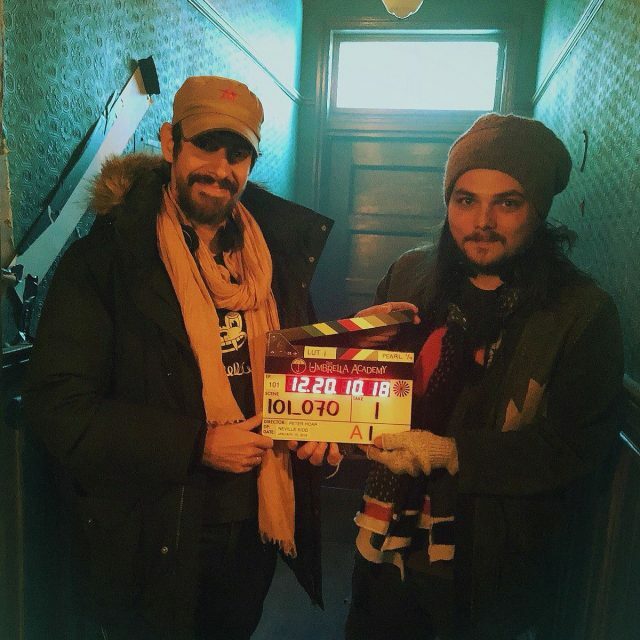 Gabriel Bá and Gerard Way on the set of Umbrella Academy. 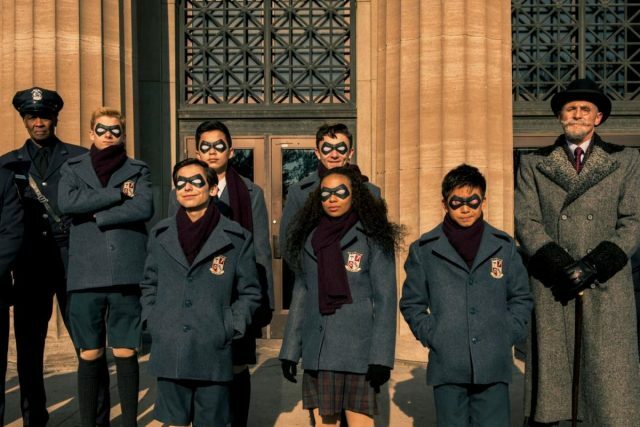 Netflix’s The Umbrella Academy shows audiences the classic superhero trope and turns it on its head, and to great effect at that. Despite some issues in character focus and the lack of a villainous presence in the first half of the story, its many small, chuckle-inducing family moments are sure to make you smile quietly to yourself. Netflix’s The Umbrella Academy is a great adaptation of the comic book series that comes into its own, having a great blend of good, old-fashioned family drama and relationships, with some over-the-top themes of time-travel and superpowers. The characters really make the world pop out in interesting ways. Despite some minor hiccups, it doesn’t hamper the superb storytelling of the show.